poskerjamedan.com - Lowongan Kerja Medan Terbaru Mei 2018. 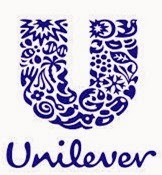 Unilever is one of the world’s leading fast-moving consumer goods companies with products sold in over 190 countries. More than 2 billion consumers worldwide use a Unilever product on any given day. From long-established names like Lifebuoy, Sunlight and Pond’s to new innovations such as the Pureit affordable water purifier, our range of brands is as diverse as our worldwide consumer base. Unilever has more than 400 brands, 14 of which generate sales in excess of €1 billion a year. Many of these brands have long-standing, strong social missions, including Lifebuoy’s drive to promote hygiene through handwashing with soap, and Dove’s campaign for real beauty. We are seeking high calliber Pioneering Candidates to join us Unilever in North Sumatera business to life.